Euro successfully reached the group of lower fibo-levels. Most likely, right now pair is starting new correction. Price may test level of 38.2% during the next several days. If price rebounds from it, market will continue moving inside current downtrend. 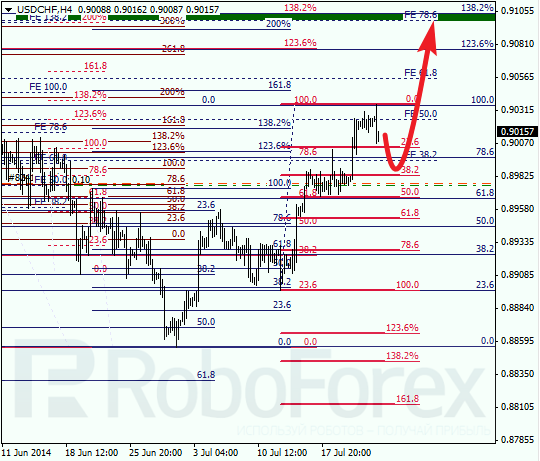 According to analysis of temporary fibo-zones at H1 chart, current correction may take more time than expected. I’ve got one limit buy order; as soon as it is triggered, I’ll move take profit to level of 38.2%. 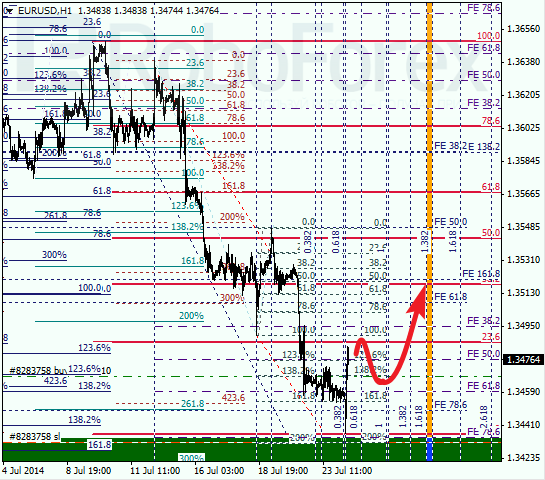 Franc also started new correction, that’s why I’m keeping only one order. Bears are unlikely to move any lower than level of 38.2%. If price rebounds from this level, I’ll increase my long position with target at the group of upper fibo-levels. Similar to Euro, current correction may take quite a lot of time. Possibly, price may rebound from level of 38.2%, but only in the beginning of the next week. However, if bears are able to break this level, buying Franc is not recommended.